Flat rectangular markers, ten markers per bag. 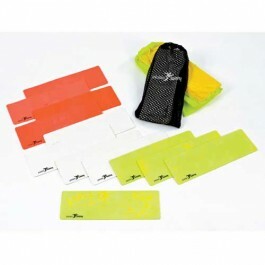 Non Slip, flexible vinyl markers. For marking out training sessions indoor and outdoor. Colours Fluo Yellow, Fluo Orange, White.